I have added two poems from the mini-pamphlet to a new revised edition of ‘Buying Time – Poems 2016’. Burning Books is a baker’s dozen plus of poems and a short story. 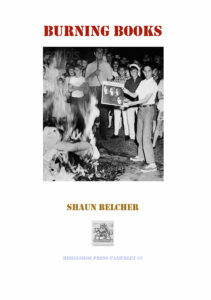 The cover photo is Burning Beatles Records USA 1960s…..an apt symbol of present priorities. We are all burning books and buying time these days….